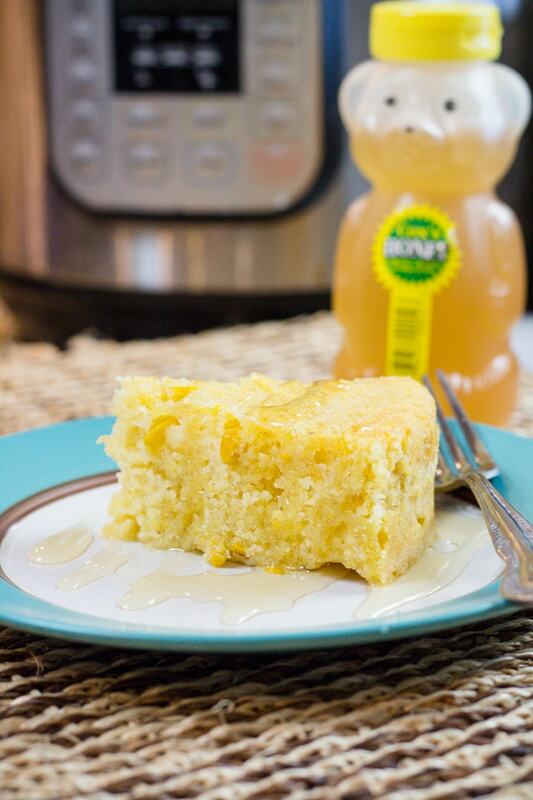 Cornbread Recipes are a family favorite, how to take a package mix and take it to the next level. 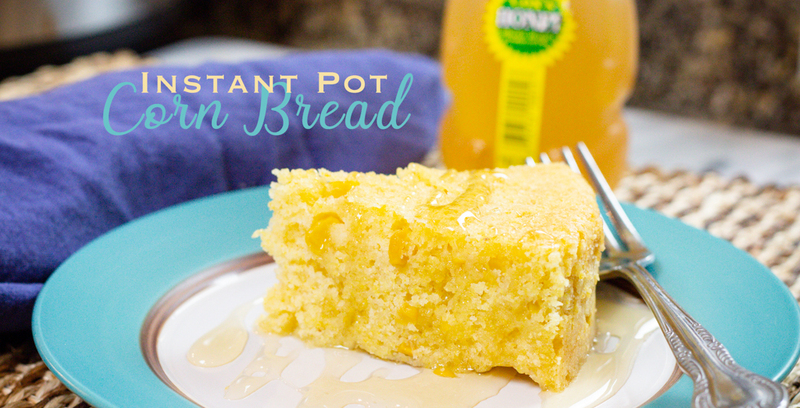 Moist cornbread recipe is delicious plain and incredible dipped into stew or soup. With whole kernel corn, and sweet honey you will devour every bite. I love cornbread. I love it hot, and covered in warm butter. I love to dip cornbread into soups and stews on a cold day. I just love cornbread. But I love cornbread even more when it had whole kernel corn in the bread. I love the texture, the added taste, I love it all! 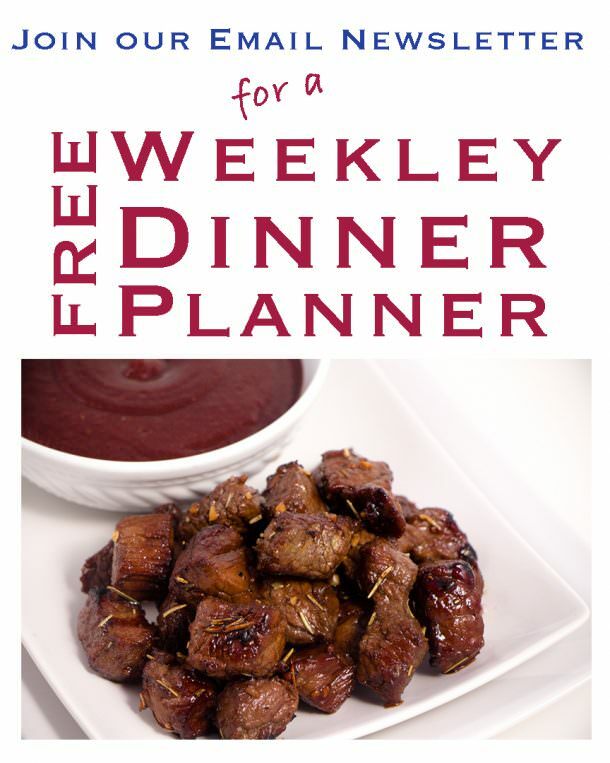 You can argue that this is a pretty easy recipe, and it is! It can also be made in the oven too. I do enjoy how moist and dense this recipe turns when baking in the Instant Pot. 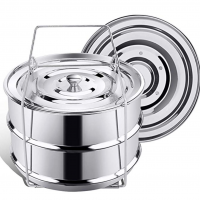 I use a 2 tier stackable pan that I do NOT cover. There is no need. In fact, covering this recipe will lengthen the cook time. So do yourself a favor and let it breathe. You can always make cornbread from scratch and it’s wonderful. But why not take a boxed mix and elevate it to something so much better. 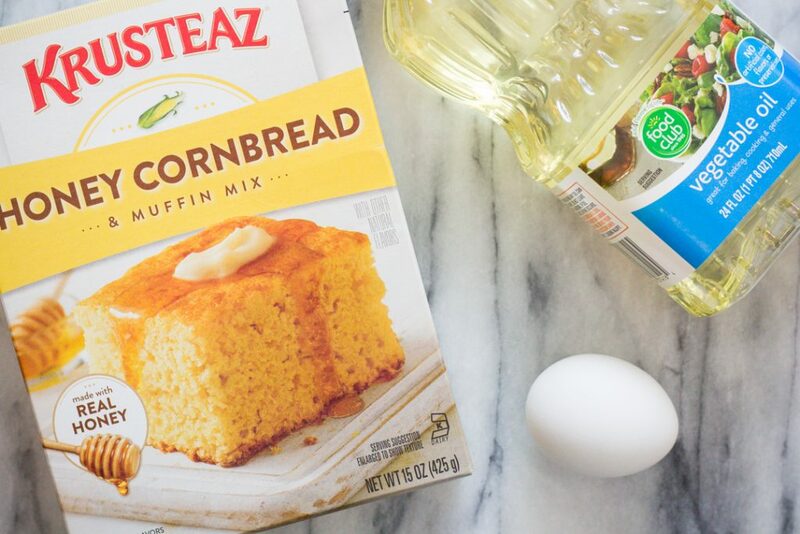 With a few adjustments, you will have a super moist cornbread mix with great texture and flavor. Delish! 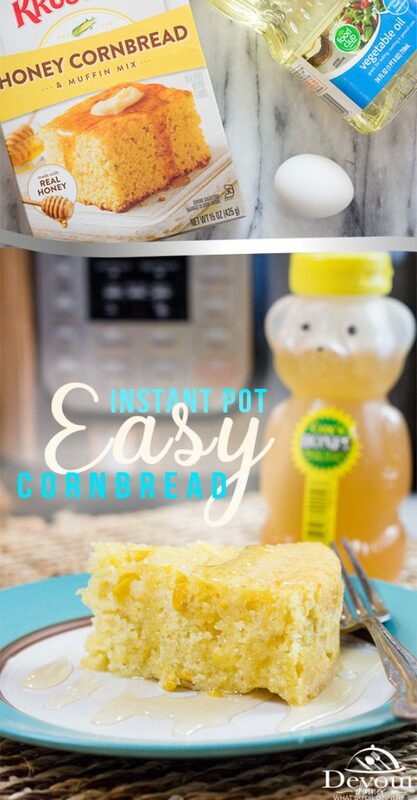 In this recipe you will use a 15 oz boxed Cornbread mix and add an egg, milk, oil, whole kernel corn and and baking soda. See full directions below. The whole kernel corn just add to the wonderful cornbread and the extra baking soda just gives it a boost to keep it a little lighter. 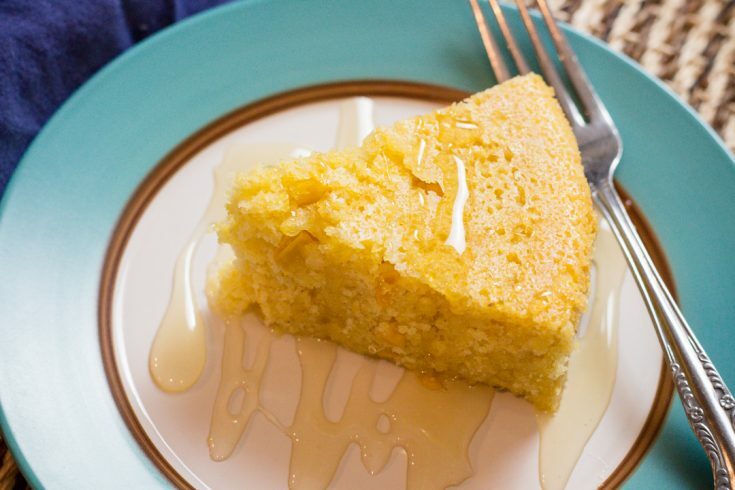 Cornbread is best served hot, with butter and honey. Mix 1/2 cup butter with 1/4 cup honey and whip. 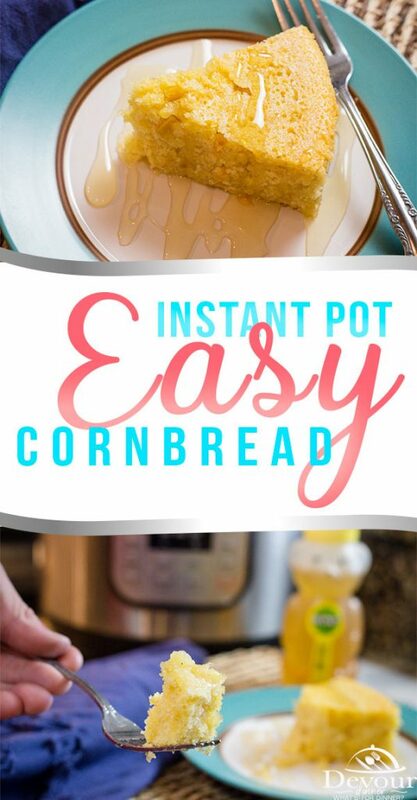 Serve with hot Cornbread and you will love it. More GREAT Recipes to Try! Make sure to PIN Them for Later too! 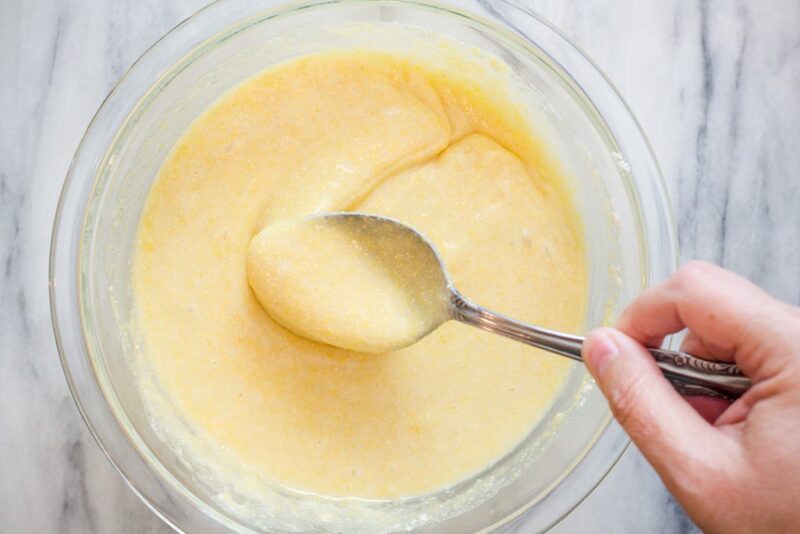 In a mixing bowl pour Cornbread mix, egg, milk, baking powder and oil and stir. Remove from Pressure Cooker and run a knife around the edges to loosen. Flip cornbread out onto plate. Serve warm with butter. For this recipe I use whole kernel corn that was rinsed and drained . You can also use frozen whole kernel corn as well. Add 1/2 tsp baking soda helps make this recipe a little lighter and fluffier. It's completely optional.